MASON CITY – Freshman Kelcie Hale scored 25 points to lead the No. 7 NIACC women’s basketball team to a 107-72 victory over Southwestern Community College in an Iowa Community College Athletic Conference contest Saturday afternoon in the NIACC gym. Also for the Lady Trojans, Mandy Willems scored 24 points, Jada Buford scored 15 points and Alexa Loftus scored 12 points. Autam Mendez and Tahya Campbell both reached double figures with 10 points each. Willems made 2 3-point goals in Saturday’s game giving her 103 for the season, which ties her for second on the school’s single-season 3-point list with Trudy Peterson (2015-16). Jennifer Currier is the all-time single-season leader with 107 in the 1987-88 season. 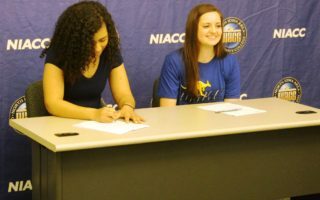 NIACC’s Ty’neecia Longs grabbed a career-high 14 rebounds. NIACC (17-5 overall, 8-1 in the ICCAC) returns to action Wednesday in an Iowa Community College Athletic Conference contest at Iowa Central. Game time in Fort Dodge is slated for 5:30 p.m.
MASON CITY – Freshman Deundra Roberson scored 32 points to lead No. 14 NIACC to a 96-83 victory over Southwestern in an Iowa Community College Athletic Conference contest Saturday in the NIACC gym. Roberson was 11 of 22 from the field, including four of nine from 3-point range. Roberson was also six of nine from the free-throw line. Also for the Trojans, Quentin Hardrict scored 17 points, Chandler Dean scored 12 points, Wendell Matthews scored 11 points and James Harris scored 10 points. Mathews paced the Trojans with 13 rebounds. NIACC returns to action Wednesday in a conference game at Iowa Central. Game time is slated for 7:30 p.m.
AMES — A quick turnaround for the Iowa State Cyclones as they visit Oklahoma tonight in the Big 12. The Cyclones are coming off a hard fought win at home against Texas that moved their league record to 6-3. That’s ISU coach Steve Prohm who likes the way the chemistry is coming around. Prohm says a key for the Cyclones as of late has been the play of senior point guard Nick Weiler-Babb. The Sooners are 3-6 in the league race. IOWA CITY — The Iowa Hawkeyes return to action Thursday with a visit to Indiana. The Hawkeyes are 6-5 in the Big Ten after a 74-59 win over fifth ranked Michigan on Friday night. That’s Iowa coach Fran McCaffery. The Hoosiers got a shot of confidence by halting a seven game losing skid with a stunning victory at sixth ranked Michigan State. 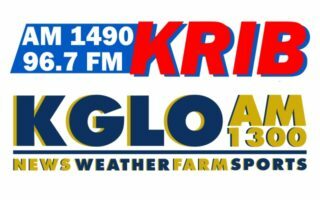 Thursday’s game on AM-1300 KGLO can be heard after Newman girls tournament basketball. STATE COLLEGE, PA — The 13th ranked Iowa Hawkeye women never trailed in an 81-61 win at Penn State. Megan Gustafson poured in 30 points as the Hawkeyes improve to 8-3 in the Big Ten. That is Iowa coach Lisa Bluder who says transition defense was a key. Next up for Iowa is a home game against Michigan State on Thursday.